All products are available for sale now. To buy, simply click on the ‘Add to Basket’ link next to each product and you will be directed to our secure shop at PayPal. All products are sold in aid of The Royal Theatrical Fund. 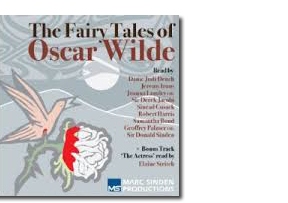 Read by Dame Judi Dench, Jeremy Irons, Joanna Lumley OBE, Sir Derek Jacobi, Sinead Cusack, Robert Harris, Samantha Bond, Sir Donald Sinden, Geoffrey Palmer OBE and bonus Track read by Elaine Stritch.